Things That Make Me Irrationally Angry #savetheundies / hellorigby! Let’s all gather around for today’s confession session where I confess all of the things that make me irrationally angry. Sorry in advance for the TMI, but I just have a lot of feelings right now, if you get my drift. Starting my period early. Cue the ruined underwear. Sorry for the TMI, but come on, everyone’s been there. Thank god for U by Kotex, their new 3D capture core makes me feel so much better knowing I’m prepared just in case Aunt Flo comes to visit early. I pop one of these in before I leave the house, grab a few to put in my bag, and then I don’t have to worry about it for the rest of the day. Phew. I highly recommend having these on hand for those emergencies and to help Save the Undies. Kotex U is even giving away free samples, so you better get on that! And speaking of ew, what about those period break outs? I have had the worst breakout post Aunt Flo, which is coinciding with me trying a new BB Cream. Jury is still out on which one is the culprit, but ugh, so embarrassing. At 25, you’d think I’d be past this, right? Right? Nope. 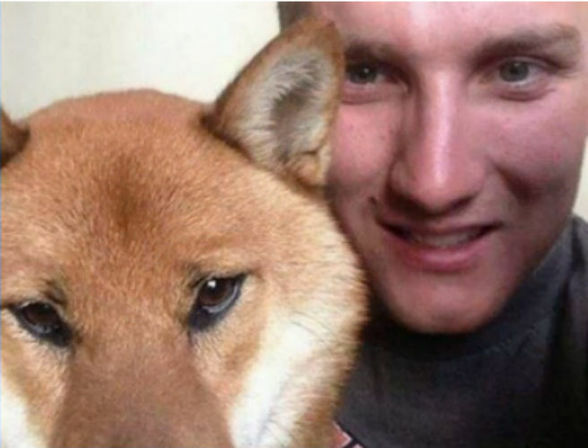 Have you heard about Baxter the Shiba and the ex-girlfriend who sold him while his owner was overseas? Yeah, pretty uncool. So, yay, the family stepped forward, but not so fast because now they don’t want to return Baxter. So now that you’re enraged, can I just say, shame on that family. Shame on them for holding onto a stolen dog who belongs to a man who is overseas. I sure hope Robby and his family pursue legal action to get Baxter back. And on that note, what makes you irrationally angry? Thank you to Kotex for sponsoring this post and helping me #savetheundies! Compensation was provided for this post, but all opinions are my own. Read my full disclosure here. i carry an emergency tampon in my purse and also have a bunch stashed in my desk at work in a blue “make up bag” so that if i ever need to call my husband to bring it to me during that state of emergency, he knows exactly what to look for. I hadn’t heard about Baxter but that is SO MESSED UP. I cannot think of doing that to even my worst enemy! Ugh, it really is. From the sounds of it, the family that bought Baxter has taken the money raised and returned the dog to Robby’s parents. I can’t believe the family didn’t want to return Baxter….even knowing his owner was a soldier in Afghanistan? Shame on them. That certainly makes me irrationally angry, too!!! I know right? Good news is, the family has taken the funds raised for Baxter’s return and are giving him back to Robby’s parents. Phew! that makes me very stabby!!! I know, seriously! The good news is that Baxter has been returned to Robby’s parents until he is back in the States. Phew! I havent heard about Baxter but that is so sad! I keep emergency tampons in my desk drawers at work… keeps my coworkers from digging through my desk too HA! Haha, that is so smart! I agree, the dog situation is sad, but with a happy ending – Baxter was returned to Robby’s parents until he is back from deployment. Oh no poor doggie! Ugh what a stupid girl to sell him! I know right? The good news is that the family has returned him to Robby’s parents. Phew! I’m with you on the breakouts. My hormones have been whackadoo for the last couple years, and my skin is so sensitive that it seems like the wrong breeze makes me break out! Ugh, break outs are the worst. I’ve started breaking out in new areas and it is SO annoying. terrible, right? luckily Baxter was returned the Robby’s parents, so they’ll be reunited when he’s back from Afghanistan. Phew! gah to the ruined underwear! i hate my period for that reason alone. ugh, i know, its the worst, right? !